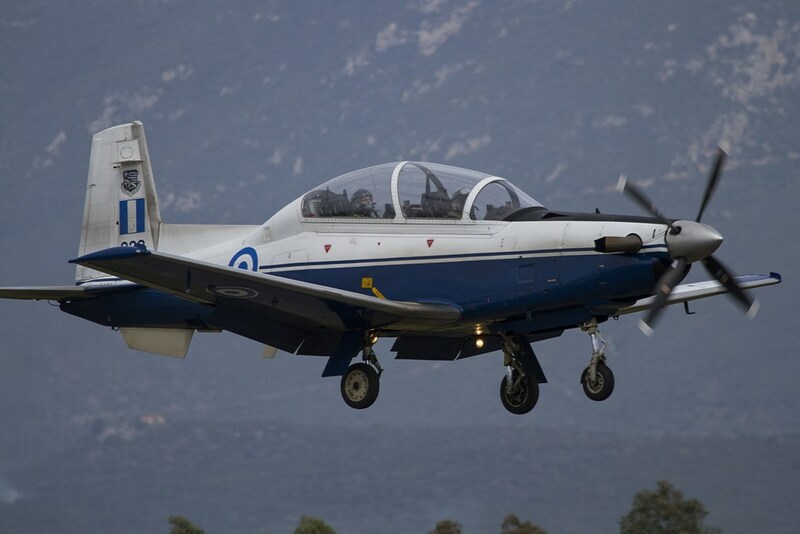 The unit’s mission is to provide the cadets and 2nd Lieutenants with flight training, in order to prepare and make them skilled pilots for the Hellenic Air Force. It also hosts Italian instructors and cadets in agreement with an international training cooperation between Hellenic AF and Italian AF. 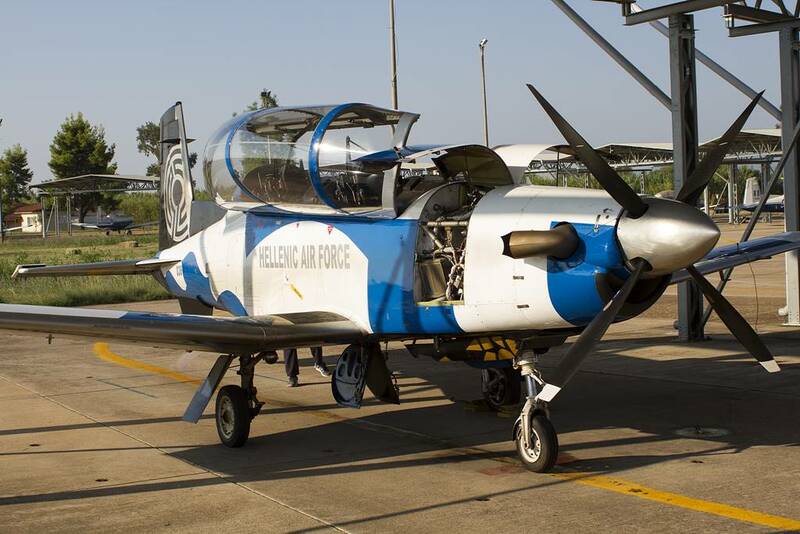 The Hellenic Air Force’s 120 Air Training Wing (120 Pteriga Ekpedefseos Aeros - PEA) is located at the airport of Kalamata, in the Peloponnese region of Greece. 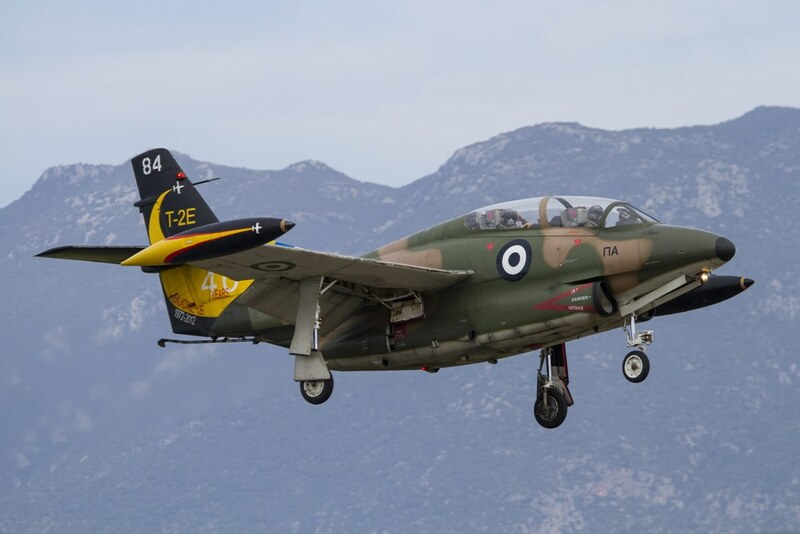 The 120 ATW of the Hellenic Air Force Training Command is tasked with providing the cadets and 2nd Lieutenants with flight training, in order to make them skilled pilots, able to engage the duties and responsibilities as HAF pilots. For this mission the 120 ATW is equipped with a fleet of T-2 Buckeyes and T-6 Texans II trainers. 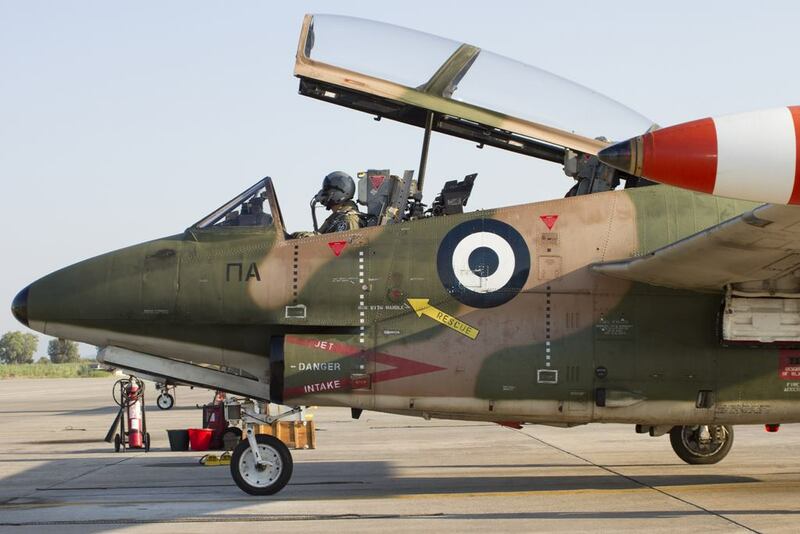 The 120 ATG received the first T-2E Buckeye advanced trainers in 1976. The squadrons to receive the new aircraft were 362 Squadron already at Kalamata and the reassigned 363 Squadron "Danaos", that was previously based in Larisa. The squadron was first established in 1972 with the 110 CW flying F-84F aircraft as the 361 Air Training Squadron. 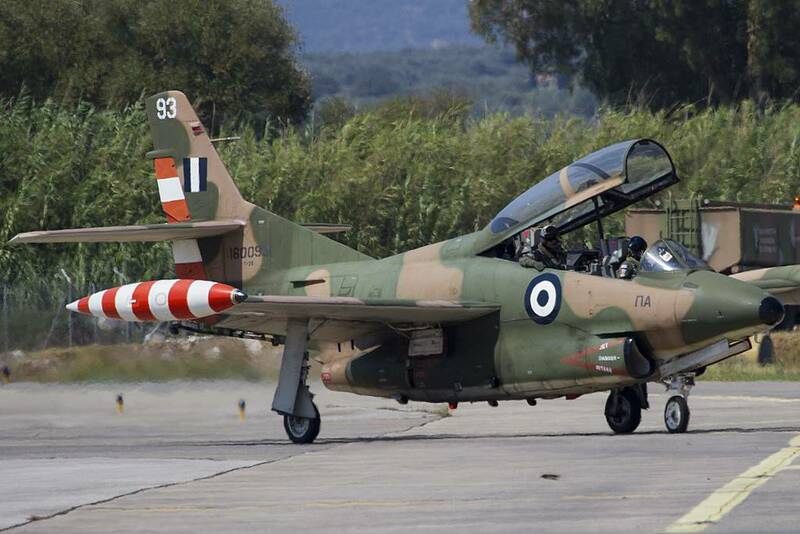 In 1976 the squadron converted to the T-2E and before being assigned to 120 ATG and moved to Kalamata in 1977. The existing squadrons of 120 ATW received the generic Air Training Squadron (Mira Ekpedefsis Aeros - MEA) name in March 2006, dropping the Basic/Advanced differentiation in the past nomenclature. 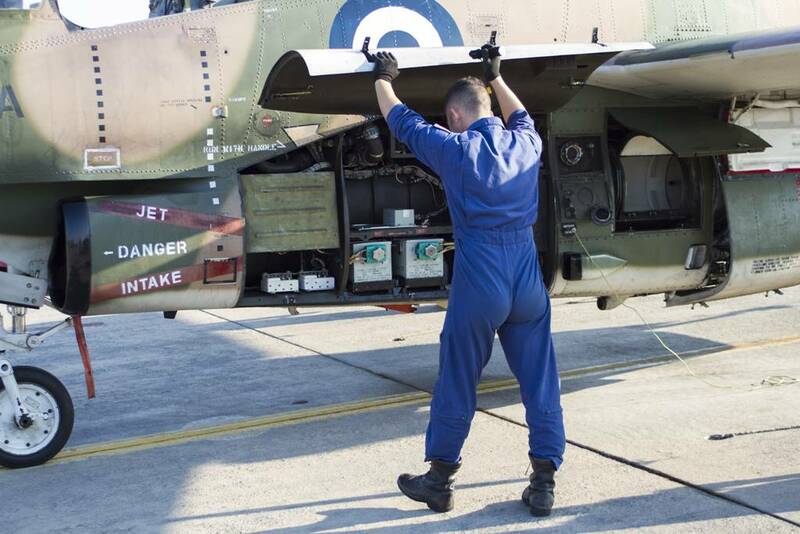 The selected cadets then move on to 120 ATW at Kalamata for the initial phase of their pilot training. The trainees fly the T-6 with 361 & 364 Air Training Squadrons, involving around 48 sorties and 60 hours of flying. 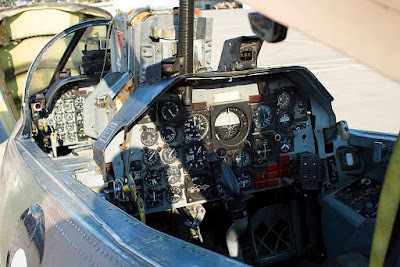 The objective of the initial stage is to provide the knowledge and skills required for basic flight procedures, meteorology, jet aerodynamics, aircraft systems handling and decision making. The end of this phase coincides with the completion of their second year in the HAF. During their third year the young pilots enter the third phase, the basic training phase and continue on the T-6. 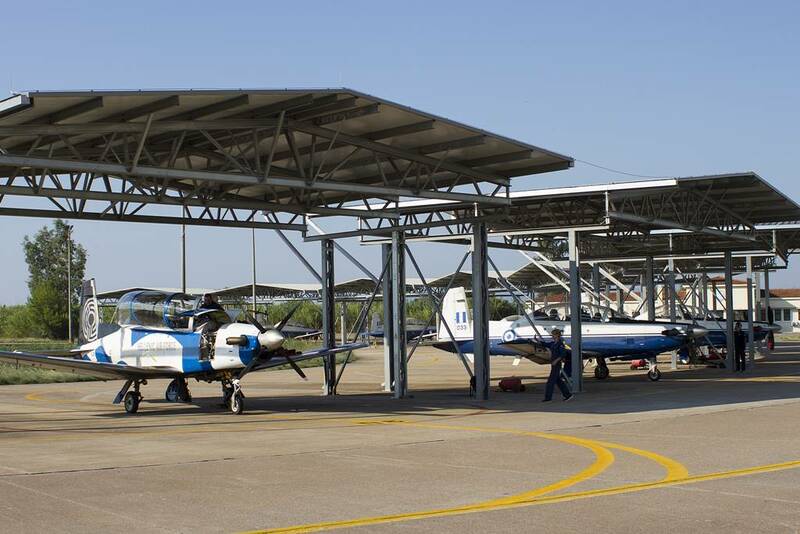 During these 5 months, the pilots fly only around 10 sorties and accumulate approximately 13 hours. The main objectives of this phase is to further improve their knowledge, competencies and skills acquired in the initial training and improve the students’ information handling and situational awareness. The basic phase incorporates a lot of IFR training. During all these stages, the students also continue the on-the-ground training, which incorporates computer based training (CBT) and simulator flight hours. At the end of the Advanced phase the pilots are 'screened' and selected to fly fighter, transport aircraft or helicopters. The students destined to become fighter pilots continue on the T-2 to complete their weapons training before they join a frontline unit to fly the F-4 Phantom, the Mirage 2000 or the F-16. 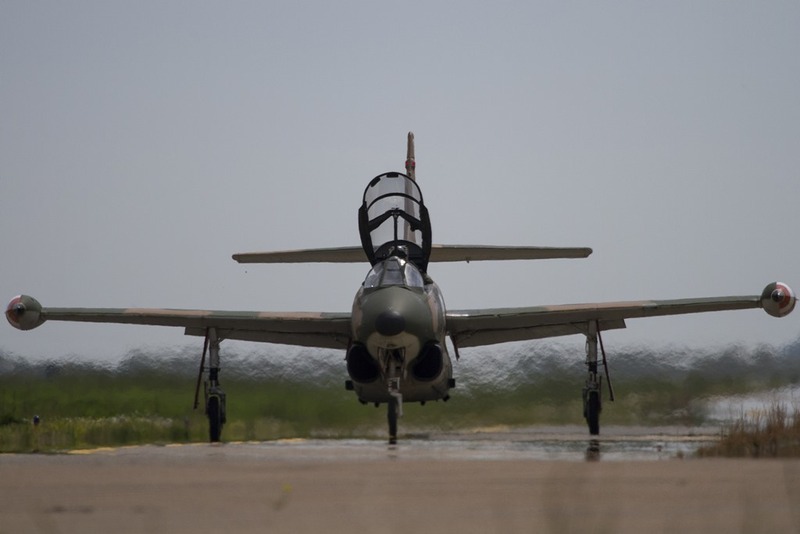 The Operational phase consists of Fighter Lead-In Training taking six months and the pilots fly 10 hours, involving air-to-air and air-to-ground operations along with exercises such as Basic Fighter Maneuvers (BFM) and Air Combat Maneuvers (ACM). Upon completion of their training in Kalamata, each new fighter pilot will relocate to one of the main bases within Greece depending on the type of fighter aircraft. 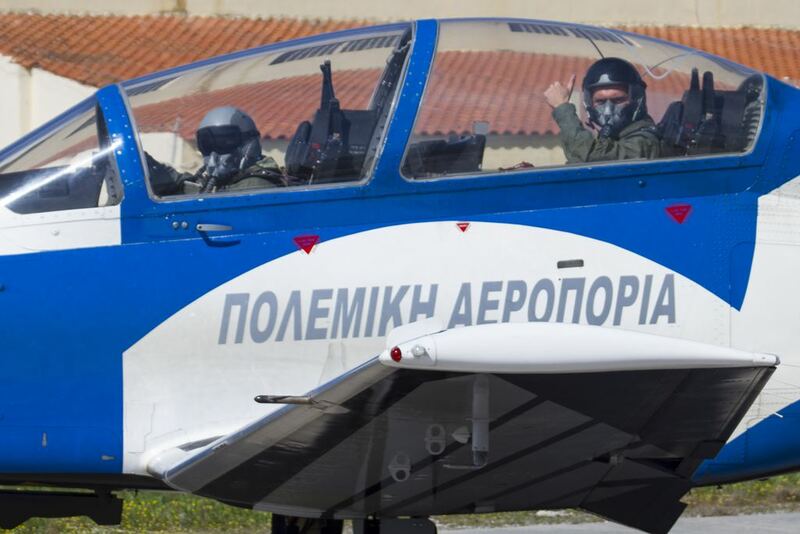 First, the inexperienced pilot joins the Operational Conversion Unit (Sminos Metekpedeusis - SMET) where he learns to fly the specific frontline fighter aircraft. After successful completion of the particular conversion course the pilot is considered Limited Combat Ready and will continue on active duty with a frontline unit. 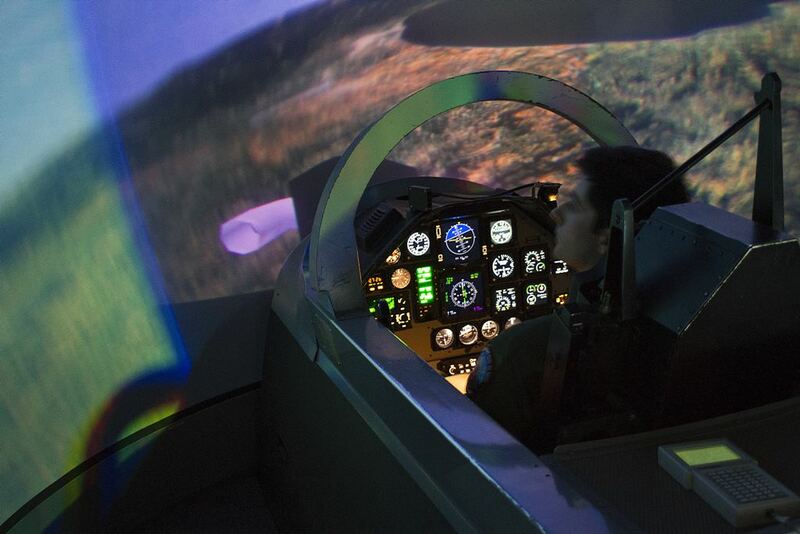 When more flying experience has been accumulated, the pilot will become Combat Ready. 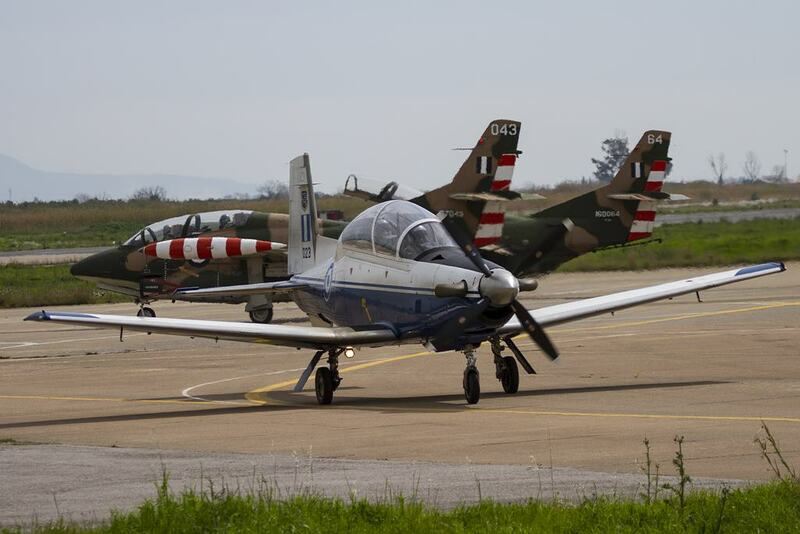 During the last 9 years, HAF cooperates with the Italian Air Force in terms of training their new cadets respectively. This technical agreement was signed in October 2008 between the Ministry of Defence of the Hellenic Republic and the Ministry of Defence of the Italian Republic concerning the establishment of cooperation for pilot training. It offers the ability, for both Air Arms to cover their own "gaps", in their training respectively by combining their different aircraft. In particular, the HAF completes its final stage of the Lead-In-Fighter Training (LIFT), by utilizing the Italian Aermacchi MB-339CD, while the ITAF it's initial and basic stage of training (Phase II) by utilizing the Raytheon T-6A Texan II. Both Air Forces have their own instructors (four of each Air Force) who have been certified by each Air Arm to fly and train the new pilots on these different types of aircraft. 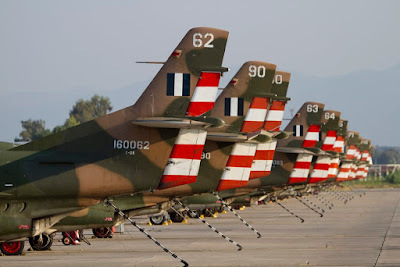 During the final stage of their training the young Greek pilots fly 52 sorties with the real aircraft and 15 sorties on the simulator at the 212nd Squadron of the 61st Wing (Stormo), in Galatina AB in Italy. During each year six to ten pilots complete this kind of training respectively. 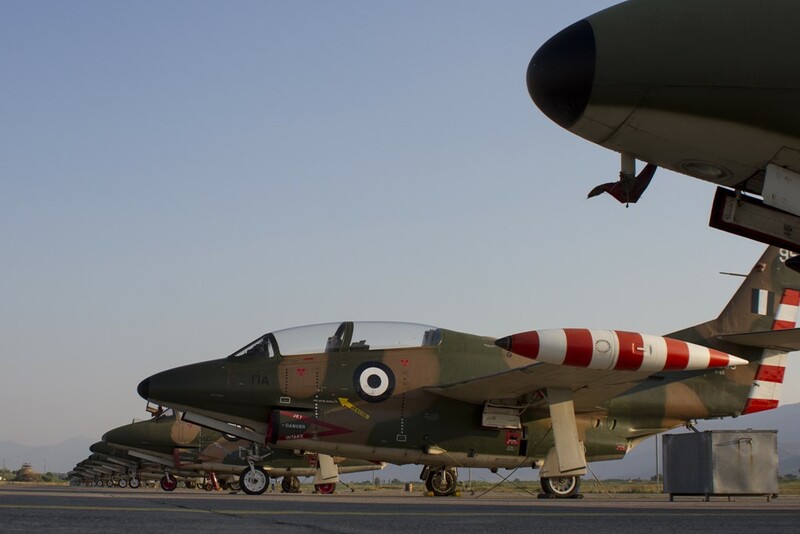 So far, around 8-10 classes of Greek and Italian pilots have completed their training. 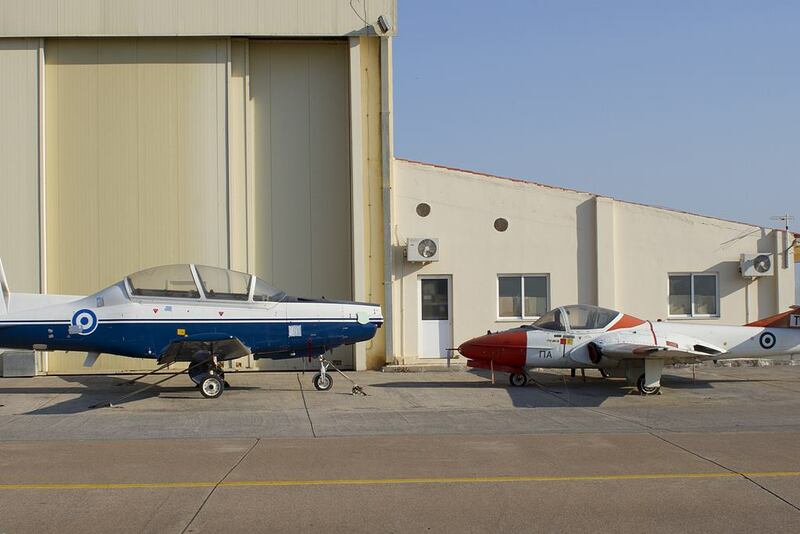 More details about Italian AF pilot training are available here. The T-6 is a development of the Pilatus PC-9, modified significantly by Beechcraft, which was part of Raytheon at the time. 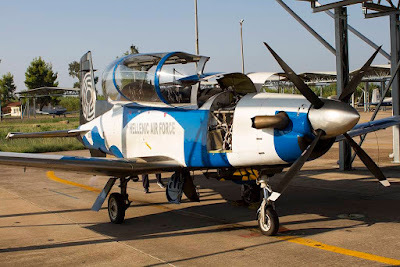 Designed for the US Joint Primary Aircraft Training System (JPATS) it was named after the legendary T-6 Texan pilot trainer of decades ago and also replaced the T-37 in US service. The T-6A Texan II is powered by a Pratt & Whitney PT-6A-68 turbo-prop engine providing 1100shp and has a climb rate in excess of 3,300ft/min (1,000m/min). The maximum cruise speed of the aircraft is 310mph (500km/h) and it has an altitude ceiling of 31,000 feet (9,500m). The cockpit was designed for similarity with modern fighter aircraft with Smiths Aerospace multi-function active matrix LCDs. 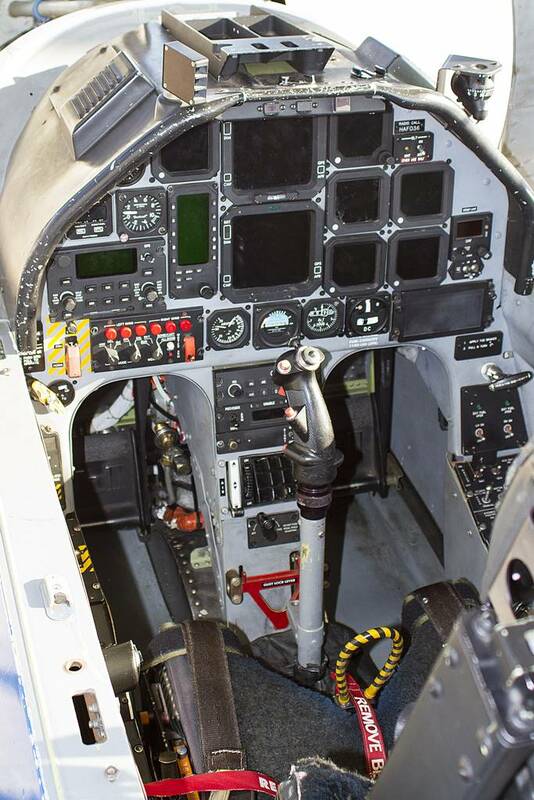 In addition to the ‘digital’ cockpit, the T-6 also has a pressurized cockpit and Martin-Baker Mk.16 zero-zero ejection seats. Besides the training units at Kalamata, there's also the Hellenic Air Force's 'Daedalus' demo flying the T-6 Texan II. Nowadays the T-6 flown by the team carries the team’s paint scheme. Developed for the U.S. Navy training needs the first YT2J-1 flew on January 31, 1958. Powered by a single 3,400 lb thrust Westinghouse J34-WE-48 fuselage-mounted turbojet, the initial T2J-1 production model first entered service in July, 1959. Manufactured by North American at Air Force Plant 85 in Columbus, Ohio, the name Buckeye refers to the state tree of Ohio. 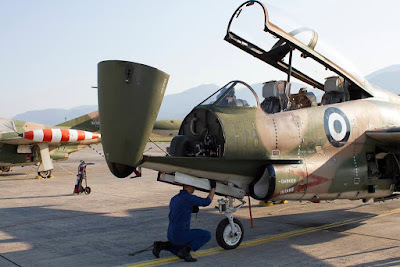 It was redesignated T-2A in 1962 under the joint aircraft designation system. 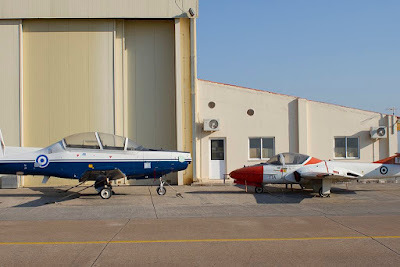 The single turbojet was soon replaced with two 3,000 lb thrust Pratt and Whitney J60-P-6 turbojets resulting in the T2J-2 or T-2B. The first of 97 new T-2B aircraft flew on May 21, 1965 and entered service in December, 1965. The final production model for the U.S. Navy was the T-2C fitted with two non-afterburning General Electric J85-GE-4 engines (similar to those used in the F-5 and T-38). 231 T-2C aircraft were produced, with the first production model being flown on December 10, 1968. 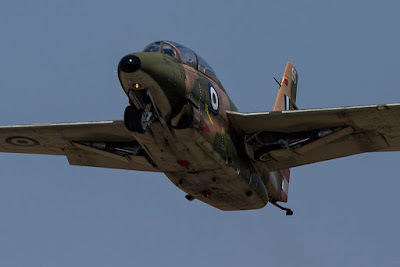 The export customers of the type were Venezuela (T-2D) and Greece (T-2E). 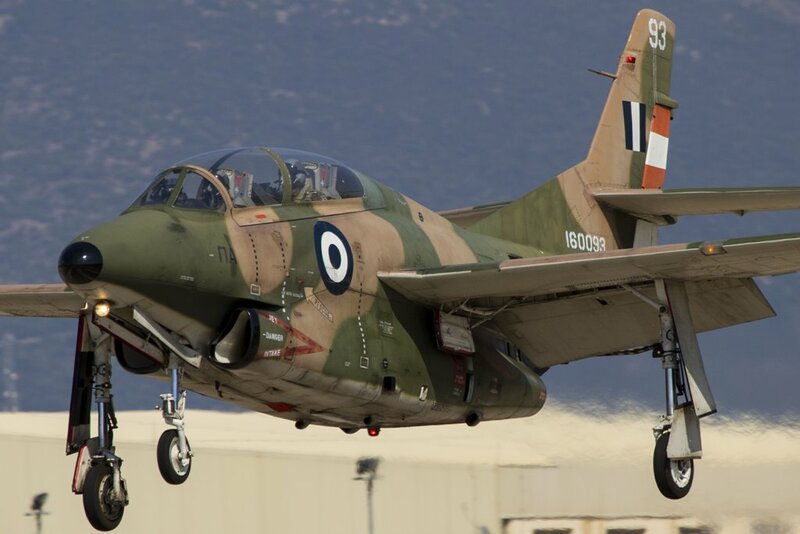 The T-2E for Greece was based on the T-2C but with a targeting system and was capable of carrying a wide variety of training weapons packages on two wing mounts. The production ended with the last delivery of the 40th T-2E to the Hellenic Air Force in December of 1976, by then a total of 529 T-2s had been built.